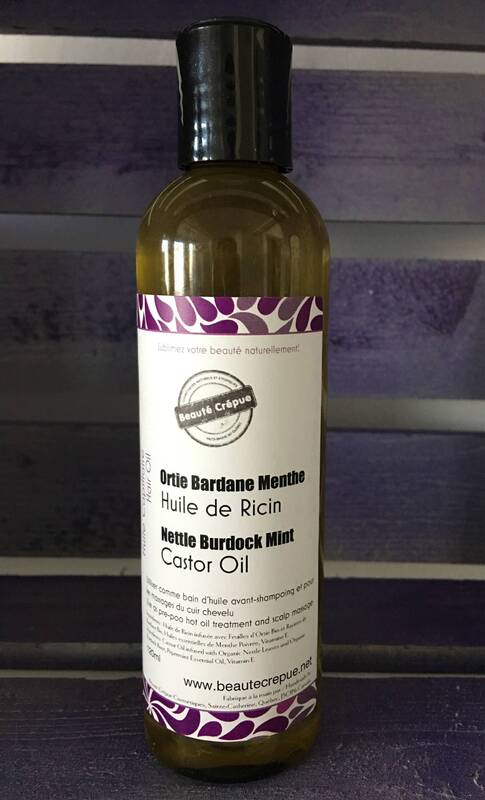 This hair oil is a maceration of dried organic nettle leaves and burdock roots in castor oil. 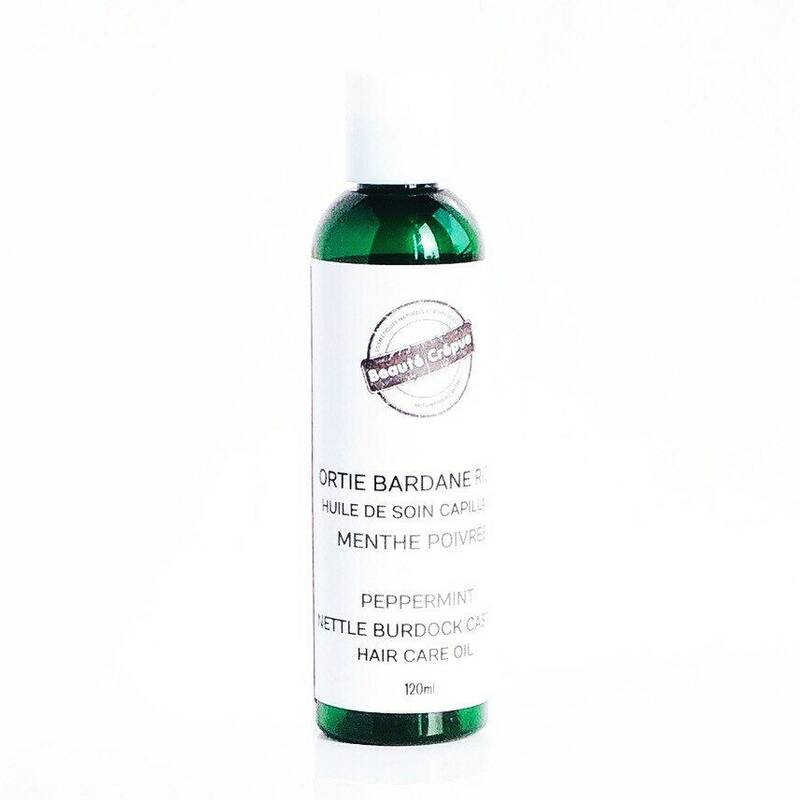 And we add essential oil of Peppermint and vitamin E.
Castor oil, nettle leaves and burdock roots are known to strengthen the hair, help hair growth and against dandruff. 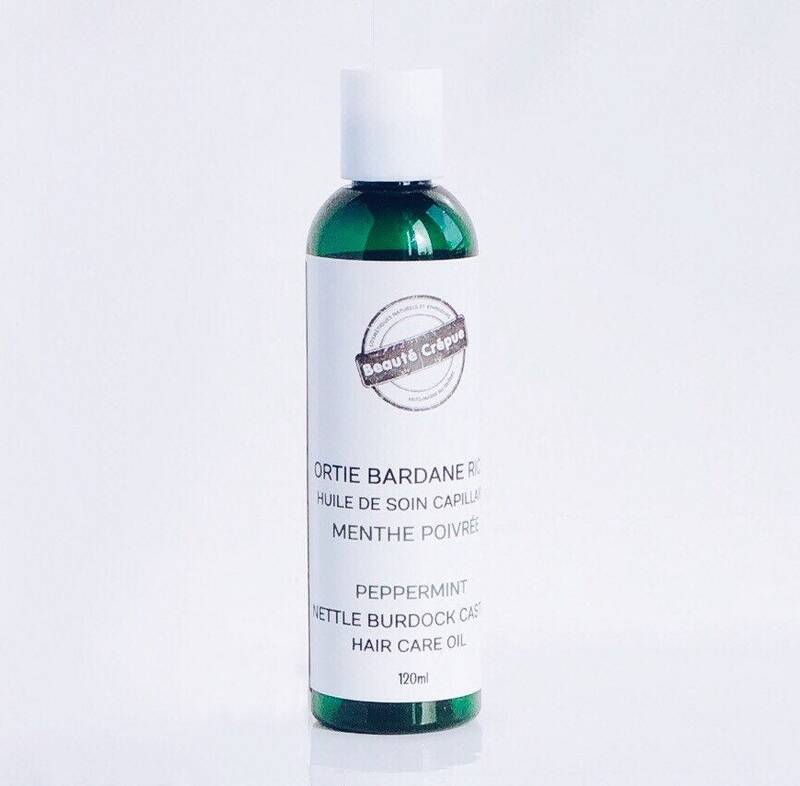 And the essential oil of Peppermint is known to stimulate blood circulation to bring hair back to life. 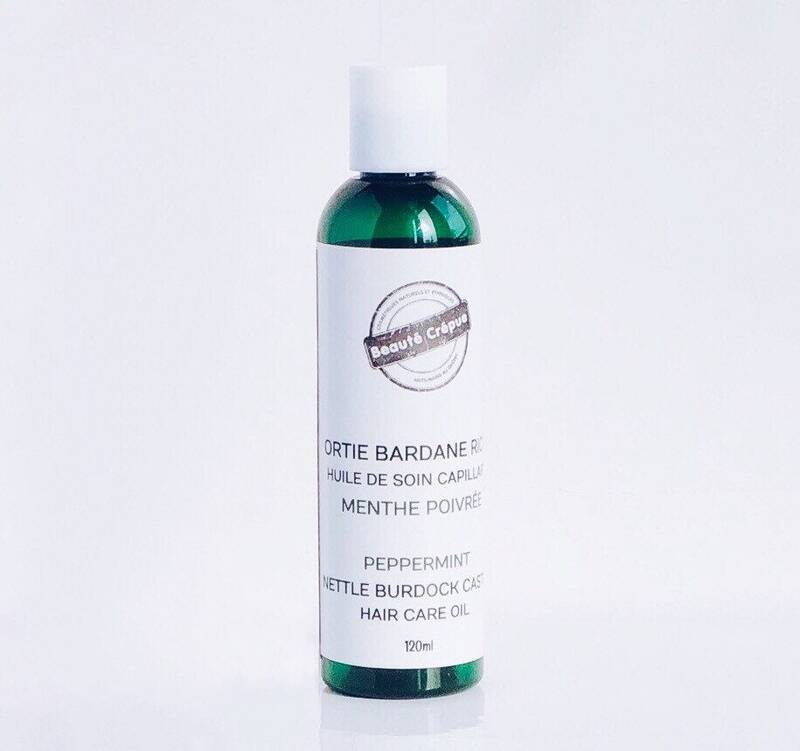 - Use as a pre-poo oil before shampoo: Before your shampoo, leave on the scalp and the hair, cover with a plastic cap / a heating cap, And leave for hour (minimum 30 minutes). 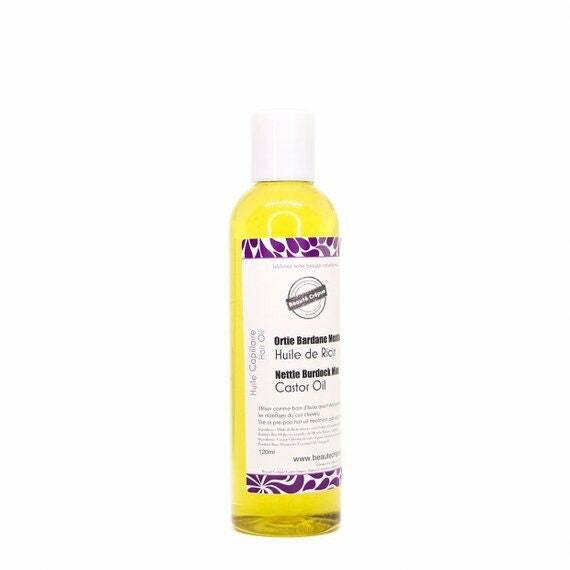 - Use also during your scalp massages.